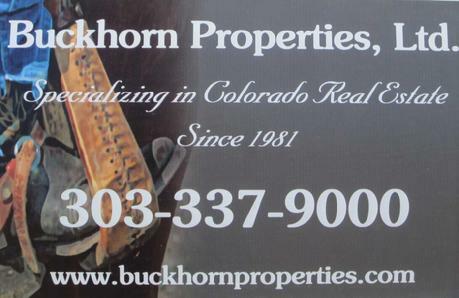 We offer some of "COLORADO'S BEST VALUES" in both and Country and Mountain acreages. We feature special owner financing with an affordable down-payment on most of our land listings. We are the "ORIGINAL COLORADO LAND SPECIALISTS" since 1981. We offer personal service and professional expertise at a reasonable price. 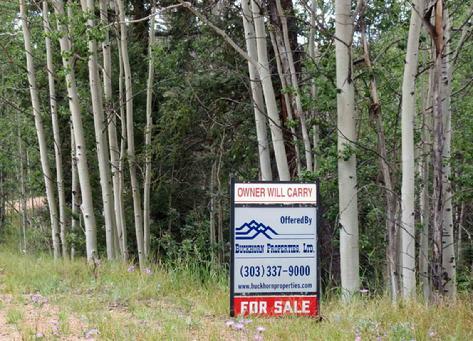 We make owning your own "COLORADO DREAM PROPERTY" both fun and easy. Our Property Listings are updated on a regular basis, so visit us often for the most current availability. PUEBLO WEST IS ONE OF THE BEST VALUES IN COLORADO! Pueblo West is one of the few opportunities left in Colorado to own acreage in a great community at an affordable price. If you missed out on other area's "back when they were selling at a reasonable price" you still have a chance to "STAKE YOUR CLAIM IN PUEBLO WEST". Pueblo West is quite unique because it offers the conveniences of city living and the "elbow room" that you would expect in the country. Pueblo West features an 18 hole golf course called Desert Hawk, neighborhood schools, shopping, police and fire protection, maintained roads, central water, restaurants and many other sevices. Pueblo West also serves as home for a wide variety of wildlife including deer, antelope, wild turkey, rabbits, bald eagles and hawks. Pueblo, Colorado is about three miles from Pueblo West and offers shopping of all types, restaurants, movie theaters, excellent golf courses, including Walking Stick, hospital and clinics, museums, the River Walk and much more. Pueblo is highly rated as one of the best places to live in the United States and was chosen one of the best small cities in Colorado and the Western United States, in a recent issue of Money Magazine. Pueblo was also selected as one of the four "America's Most Livable" cities of the decade and featured in USA Today, in September of 2000. Pueblo Reservoir and Recreation Area border Pueblo West on the south-side and feature one of Colorado's largest bodies of water. The lake is used for water sports of all types including fishing, boating and jet skiing. There are two good size marinas which offer week-end or year-round services. The majority of the owners use their property for year-round living while some use it for vacations now and plan to retire in Pueblo West. We have a variety of one acre, and larger, properties available and priced from $12,900.00 to $28,900.00. We offer special financing on most of the properties, with as little as $2000.00 down and payments ranging from $145 to $275 per month @ 9.9 % APR. CONTACT US TODAY, TO MAKE ARRANGEMENTS TO VISIT THE AREA AND SEE FOR YOURSELF ONE OF THE FEW REMAINING BARGAINS IN COLORADO REAL ESTATE. This property is part of an old cattle ranch which was homesteaded in the early 1800s by the first doctor in Lincoln County. Dr. Kendrick lived on the ranch and served the surrounding area as both family doctor and veterinarian for many years. The county road on the east side of the original homestead is named Kendrick road in memory of the doctor and his family. 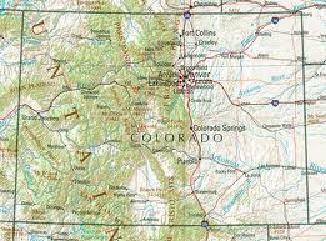 The ranch is located about 39 miles east of Colorado Springs and about 7 miles south of Rush, Colorado. The parcel is 40 acres in size and the terrain is gently rolling to level and has a view of Pikes Peak. The property is zoned so that you are able to live in a mobile home, modular home or build a conventional house. 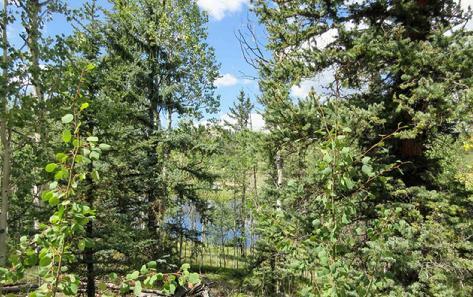 THIS IS ON OF THE FEW 40 ACRE TRACTS AVAILABLE IN COLORADO FOR LESS THAN $1,000.00 PER ACRE, CONTACT US TODAY! Located west of Colorado Springs in SADDLE MOUNTAIN HEIGHTS. Beautiful property featuring lots of trees (both pine and aspen) on county road near cul-de-sac. The closest towns are Florissant, Divide and Cripple Creek. This acreage has a lake view (see photo). Build a mountain cabin, your dream home or camp now and hold for future use. We are offering financing with $3000 down and $156.60 per month for 10 years @ 9.9% APR. CALL TODAY!! WE ONLY HAVE ONE LEFT IN THIS AREA!! Monthly payments should be made payable to: BUCKHORN PROPERTIES, LTD. Monthly payments should be mailed to the address below. If you have a change of address, please notify our office and the County Assessor where you property is located. If you need additional mailing labels, additional information on your property or account, or want to change your address, please contact us by phone or email. Use Paypal to make your monthly payment. Click on the PAY NOW button below. Visit us often for the "Quote of the Day"
CALL US TODAY AND STAKE YOUR CLAIM IN COLORADO!